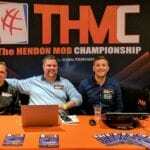 The Hendon Mob is unparalleled as the definitive source for tournament results and rankings in the world of poker. If you want to take a look at the All-Time Money List, it’s there. The fascinating All-Time Inflation Adjusted Money List is also there. 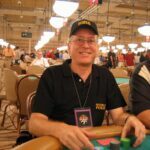 The 1997 Money List (topped by Stu Ungar), the Bellagio All Time Money List, and the Global Poker Index rankings (with more than 260,000 players) are all available at the Hendon Mob, as well as any other parameter for tournament poker rankings you could think of. As intriguing as anything in this vast database are the Most Popular Player Rankings, featuring the players whose pages have gotten the most traffic from site visitors. 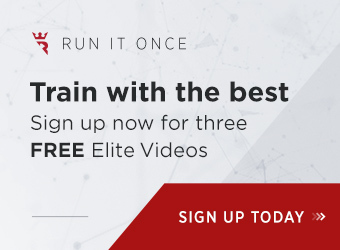 Like anything else at the Hendon Mob, you can look at the All-Time rankings for this category, or break them down into yearly, monthly, and even weekly rankings. 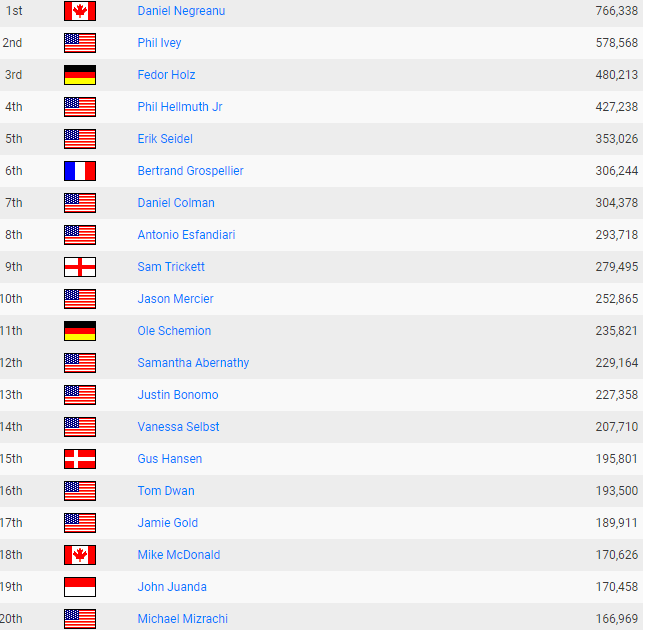 Daniel Negreanu and Phil Ivey are, not surprisingly, at the top of this list. 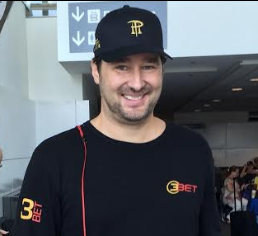 Phil Hellmuth, Antonio Esfandiari, Gus Hansen and Tom Dwan have been among poker’s biggest names for years, and you would expect to see these players on any compilation of poker’s most well-known names. Taking a look at the numbers on the right side of the list, we see Negreanu is poker’s most popular player by a pretty wide margin over Phil Ivey, but what exactly do those numbers mean? Roland Boothby, Head of Poker Content at the Hendon Mob, gives us some insight on just how this list is created. 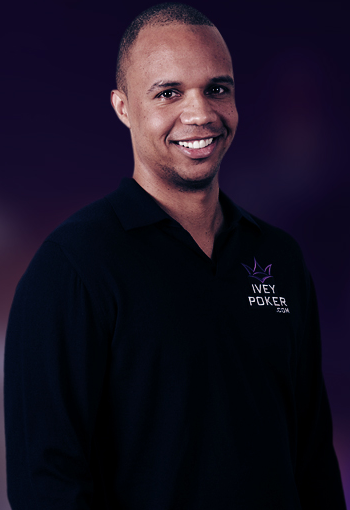 So now we know that fans of Phil Ivey can “take matters into their own hands,” as it were, but they have a lot of work to do if they want to see Ivey at the top of this list. Negreanu isn’t making it any easier to catch up either, as we filter to take a look at the 2018 rankings. 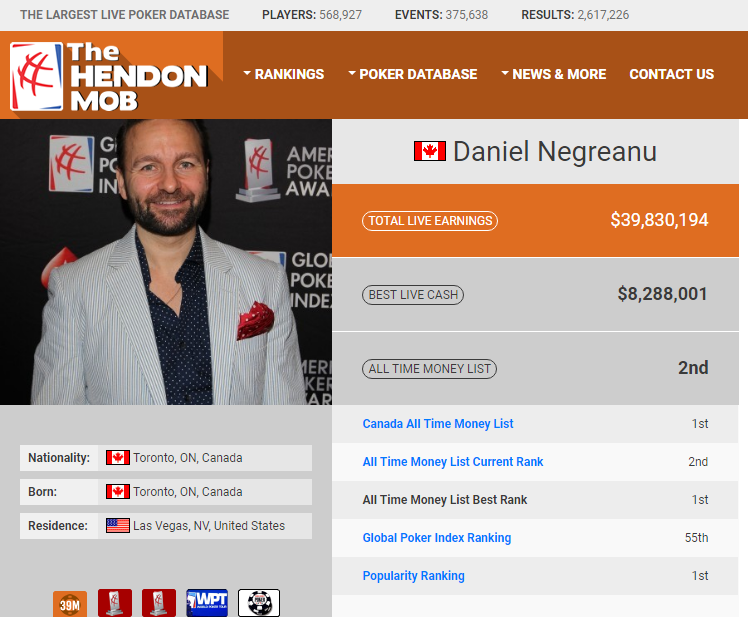 Negreanu is at No. 2 for the year, with a not-surprising name at the top. Justin Bonomo is No. 1 for 2018, and it’s easy to understand why. Bonomo rose to No. 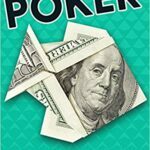 1 on the All-Time Money List this year after putting together the best year of tournament results in poker history. With $25,428,935 in prize money, and wins in two Super High Roller Bowl events, and the $1 Million Big One for One Drop, Bonomo’s results for the year have to be seen to be believed. Clicking on Bonomo’s name in the database is mind blowing if you haven’t done it yet! 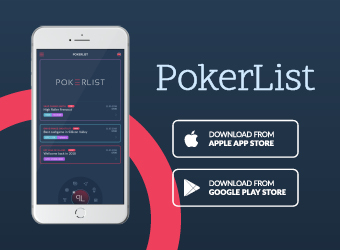 “Anyone looking at the rest of the 2018 list would also note that while the ‘rest of the world’ players no doubt are gaining in popularity, U.S.-based poker players continue to maintain their popularity among poker fans,” says John Lathram of USA Friendly Poker Sites. Moreover, some of the best young players in the game have a strong presence on the list. Bonomo has been around forever but is still only 33, while “retired” phenom Fedor Holz is just 25, and players like Stephen Chidwick, Charlie Carrel, Daniel Colman, Doug Polk and 2018 WSOP Main Event winner John Cynn have all become big names and enjoyed surges in popularity within the last few years. Of course, legends like Negreanu, Ivey, Hellmuth, Erik Seidel, and Patrik Antonius – the faces of the original poker boom in the early 2000s – maintain a solid presence of their own on the popularity chart, even now in 2018. 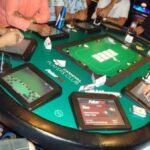 “Negreanu, Ivey, and Hellmuth will be hard to ever topple from the All-Time Most Popular Players top five, as they continue to enjoy cumulative hits over the last 10 years, and they of course remain household names (i.e., known outside of poker), with relatively few new ‘mainstream superstars’ emerging,” Boothby says. His return to @TwitchPoker is imminent. 4th on the @TheHendonMob all-time money list @CrownUpGuy will be streaming the $5300 @partypoker Millions Online event live on https://t.co/mjT4ouW5dg! While Boothby said that he’s really not surprised by anything he sees on the current All-Time list, I was a bit surprised to see a few names that rank in the top 100. 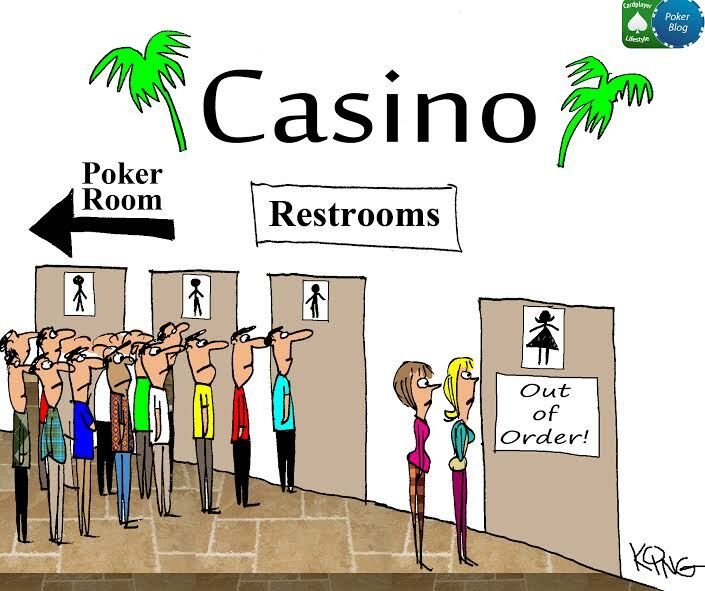 Names like Stu Ungar, coming in at No. 97, 20 years after his untimely death. 2017 WSOP Player of the Year Chris Ferguson remarkably sits at No. 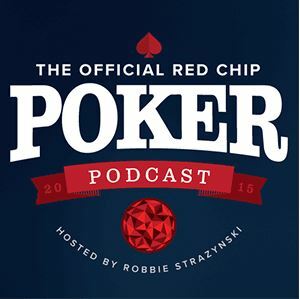 62, one spot ahead of the undeniably popular Chris Moneymaker. After Boothby’s explanation, however, the rankings make sense. Negreanu has never finished lower than No. 3 in the yearly rankings, and has finished the year at No. 1 three times (2008, 2013, 2015) since Hendon Mob started calculating the popularity rankings in 2008. 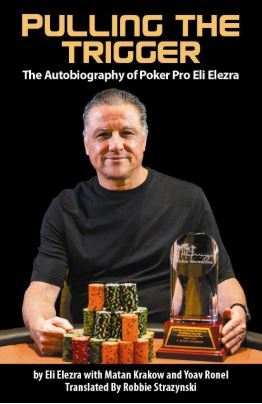 The top three most popular poker players consisted of Negreanu, Ivey, and Hellmuth (in some order) in each of the first three years of the rankings (2008-2010), and again in 2012. Seidel is the only other player to break into the top three in any year 2008-2012, finishing No. 1 in 2011, which shouldn’t be too big a surprise, considering the incredible year he had. 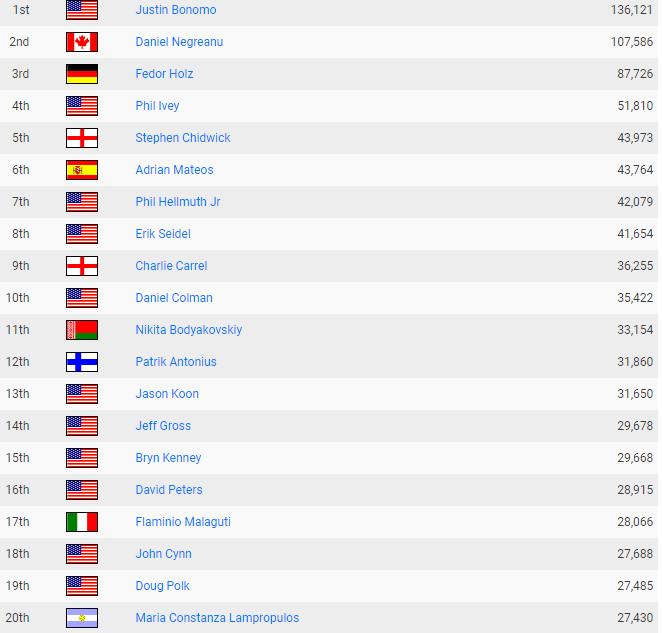 Some other names start to appear at the top of the yearly rankings in 2013, with Negreanu, Sam Trickett, and Antonio Esfandiari taking the top three spots. 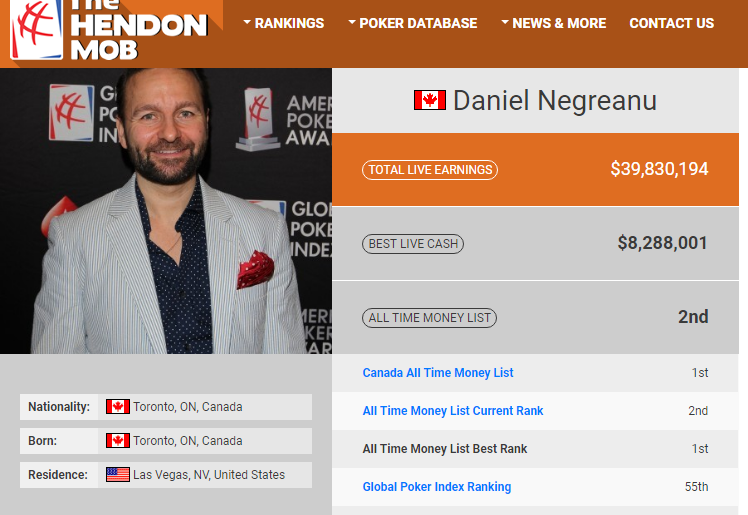 Dan Colman tops the 2014 list (followed by Negreanu and Ivey), and the same three players top the 2015 list (with Negreanu at No. 1, followed by Ivey and Colman). 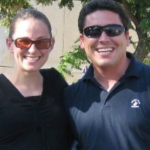 Samantha Abernathy is the highest rated woman on the all-time popularity list at No. 12, and has the highest yearly finish for a female player at No. 2, back in 2016. Fedor Holz has the two highest yearly hit totals, finishing at the top of the list in 2016 (187,865 hits) and 2017 (153,596). Justin Bonomo still has a few weeks to add to his current 2018 total of 136,121. 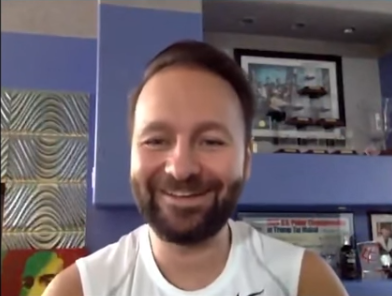 It seems that no matter what other players do, Negreanu’s popularity has endured from the original poker boom through the modern era.